November 1, 2007: After many years of working on this site I have decided to no longer keep it up. I will not remove it, but no new stuff will be posted. I will also not correct any errors such as broken links. I put a great deal of time and effort into the site because I loved this show so much, but in the last year or so life has become very busy and other projects have come about. Also because the show is not new there is not much new stuff to post. It look me a few weeks to decide to stop working on this site, but I think it is for the best. I do have a new project online. It is a celebrity site and from time to time a Dallas cast member will be covered. I do focus more on current Hollywood and country music. The address is: http://mrsjrewing-gossip.blogspot.com/ . Please drop by and check it out. I hope you all continue to enjoy looking at the site. September 21, 2006: It has been over 6 months since I have posted anything new on the site. I know many people would like more, but I have not found much new stuff to add. As soon as I do I will update the site. I am still a big DALLAS fan and would love to add more, but as time passes nothing new comes. February 20, 2006: I have added 10 new Christopher pictures and 2 John Ross pictures. I am going to try and add some more pictures today. January 10, 2006- It has been some time since I have been able to make any updates. I am so happy to see I still have vistors even without the updates. I have added a link to a site that will be up and running soon. It is a tribute site to Joshua Harris who played Christopher. Other than that I have not done much else. I hope you continue to visit and I hope to make updates soon. 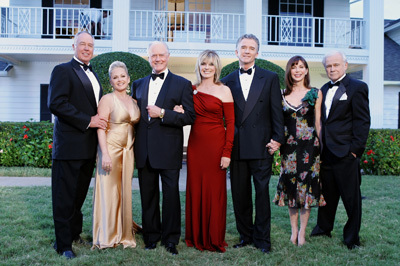 Happy New Year and here's to another year of Dallas fans world wide! November 25: Happy Thanksgiving 1 day late! There are 3 new updates to mention. I have finally added that April bio I have promised for months. There are about 10 new Suellen pictures on Suellen page 2 in the Suellen and Family section. I have also added a new page to the More Dallas Information section. It contains information on the Dallas stars as of March 2005. The information was provided by Barbara Curran who wrote "25 Years of Dallas". I have a lot of Christopher, Pam and Jenna pictures to add. I have a few of JR, John Ross and Suellen and JR pictures as well. I am gonna work adding them this weekend. I am going try and add the April bio that I can't seem to get up here and I might try and add some more episode summeries. I had taken a break from those due the the time they took. I am going to add pics soon. November 1: I have added some pictures of Mark his page in the Pam and family section. And I have added a special page with tons of pictures of John Beck. They were given to me by Barbarafan! Go check it out. My next addition is April's bio which has been tough because she is not one of my favorite characeters and her infomation is hard to find. I hope to add it by the weekend. October 31: I have done some additions. I have added some pictures of Mark Graison to his page. I am going to add more of him that I recieved as a gift from Barbarafan! Please check out her site at the links page. It is called Dallas Cast Album. I am working to up together a bio on April Stevens right now and I have Suellen and JR pics, John Ross pics, Pam and Chris pics all to add. I even have a few of Jenna and Bobby. I am gonna try and give the site the time it deserves again now that things have slowed down. I hope you all enjoy the new additions to come. I am also updating my links page which I have noticed some broken links. I have removed the broken ones and I am looking to see if the original designers have new sites. Stay tuned! September 11: I am less than 3 weeks away from my big day. So the website has suffered. I wish I had more time for it, but at the present it looks like it could be after the new year for large changes. I am going to try and add some new pictures, put up bios on April work on the summaries when I can. I have completed Julie Grey's bio. Please don't forget about the site. Once I am settled in my new home as newlywed, I will have some time for the site. (He will be playing music on the weekends.) Thanks for stopping by and I hope you continue to love the site. August 7: Between continuing computer problems and my upcoming wedding on October 1st I have had no time for the site. I miss working on it and want to continue to do so. However, I will have very little time over the next month. I hope that in September after much of the wedding planning is finished I can add a lot to the site. Please continue to enjoy the site and visit my one addition the Cartel page located in the main section and I will start making more updates as sooon as I can. June 25: I am having personal computer problems so please understand that no new updates will happen for at least a week. I am working on finishing the summery for season 5 and I hope to start redoing the Pamela and family site. I am also going to add more pictures as soon as I can. Thank you for stopping by and I hope to have something new soon. June 9: I have added a JR and Suellen page in the Suellen and Family section. I am working on summeries for season 5 and hope they will be up soon. May 29: The Ewing Extras is gone. I have moved every thing that was in in the Ewing Extras to More Dallas Information section. I have also done more episode summeries. I have all the mini series through season 3 ready to view. I have some of season 4 ready to view. I will have season 4 finished tomorrow. I hope that more seasons will come soon. A new Suellen page with many new pictures, but there are new pictures on the first Suellen page and on the John Ross page! - A Julie Grey page in the main section just before the April page. - My upcoming additions will be bios on April and Julie and more pictures! April 16: I have just added more pictures and bios to the Guest Cast page. That can be found in the More Dallas Information section. I am working on more for that list and I have pictures of the Pam and Family section and for the Suellen and Family section. March 23, 2005: I have added a guest cast page in the More Dallas Inforamtion section. I will be adding more cast members in the coming weeks. I have also added an April Steven's page in the main section. I have don't the biography yet. The page only contains pictures. The bio will come shortly. Feburary 18, 2005: I have updated the new Suellen and Family section and a new section called More Dallas Information that holds some the information that was once in the Ewing Extras section. I am getting ready to add new stuff soon. Please come back in the next month for more additions. January 23: I have made one update today. I have added links to sites by Christo, Barbara Fan and JeannieFan4ever. Please visit them whenever you can. They are all great sites. January 21: I have started additions in Dallas Extras section of the site. The new stuff is Season Summeries. The mini series, season 1 and season 2 are up and ready to view. I am working on 3 and 4. January 19: My latest additions are to the Pamela and Family section of the site. The pictures include: Pam page 2, Pam and Bobby page 2, Pam and Mark page and Christopher page. I have also made some text corrections and I have checked that all the links work and fixed some pictures that had some how become deleted. I hope to do more soon. November 2: On Election day as there is not much on other than election press I have watch it as I have done some big updates to this site. I have added pictures and character biography information to the Guest Stars page. I have put information of the character of Muriel on the Lucy Ewing page. I have added many pictures to the Ellie, Jock and Clayton Picture Page all Courtesy of The Howard Keel Online Scrapbook. Lastly, I have done a great addition by adding a Gary and Valene Ewing page with character biography information and lots of pictures. I have pictures to add in the coming weeks. They will include: Suellen, John Ross, Mandy Winger, Pam, Bobby, Mark, Christopher and Jordan Lee. I will continue to look for more. I am also looking for more information on each character and the actors themselves. I hope you are continuing to enjoy all 3 of my Dallas related sites. October 29: I have updated the JR page by adding some pictures. It also has a link to the new Suellen and Family site. I have added a link to the Pamela and Family site on the Bobby site. I have also added as you might guessed another site to my Dallas sites. The site is all about Suellen, Suellen and JR, John Ross, Suellen and Dusty and Suellen's sister, Kristin. Please stop by and let me know how you like it. Thank you all for giving me such joy in doing this. It is a wonderful gift! 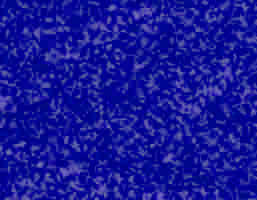 October 25: I am sorry for the lack of an update on this site. I have been out of town and unable to do the updates I want. I am posting so pictures from the reunion speical on this page (below). I am also finishing up some additions to The Pamela and Family site. I hope to add at least 25 more pictures to the site by Sunday of this week. Please visit back soon. I am getting ready to put some more time into the site. October 5: 1 picture was added to Jock, Chayton and Ellie page. A second Jock, Ellie and Clayton page was added that only includes new pictures. This is where more will be added soon. I have also updated information on the following Guest Stars (by character names): Jerry Kenderson and Sly Lovegren. I have conpletely added a new guest star: Phyllis. I am working on more to be added in the next week. Future plans: I have picture additions for Christopher's page, Pam and Bobby page, Pam page, Suellen and JR pages, more pictures of John Ross, Lucy pictures, group pictures, Charlie and Ray pictures, Afton pictures and lots of Howard Keel pictures. I am considering giving JR and Suellen their own site as I did with Pam and Bobby. So will see.